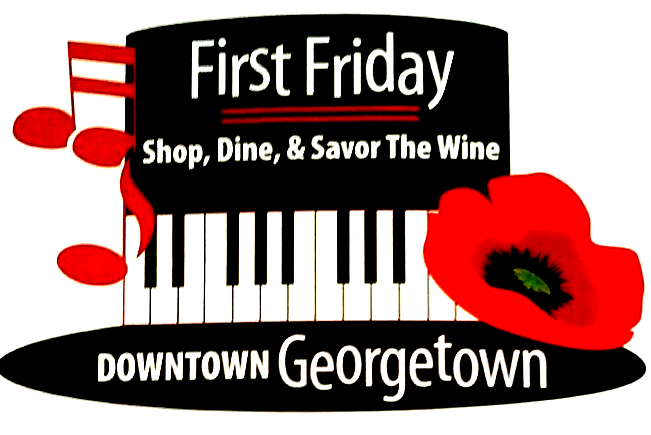 Beginning in February, come out First Friday of every month February through November to the Beautiful Georgetown Square and enjoy after-hour shopping. Enjoy a great meal at one of the many unique restaurants. Enjoy a nice glass of wine from a winery, delicious chocolate, a scoop of ice cream or cookies pop into a location that may have some great music featuring local musician. First Friday offers a little something for everyone.